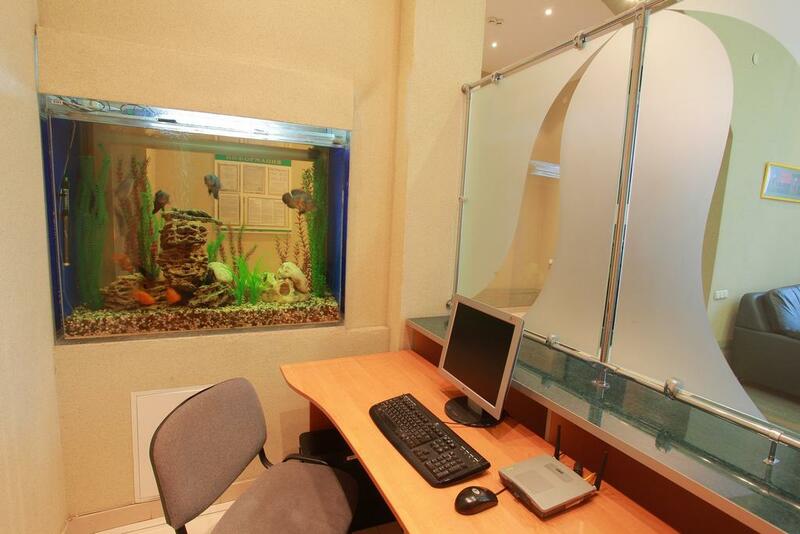 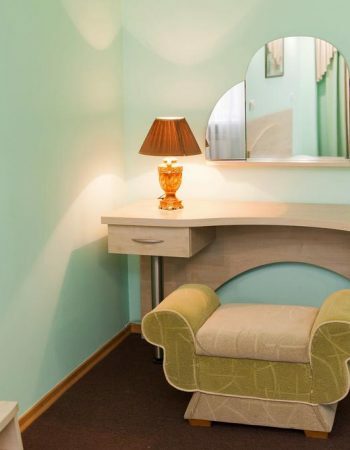 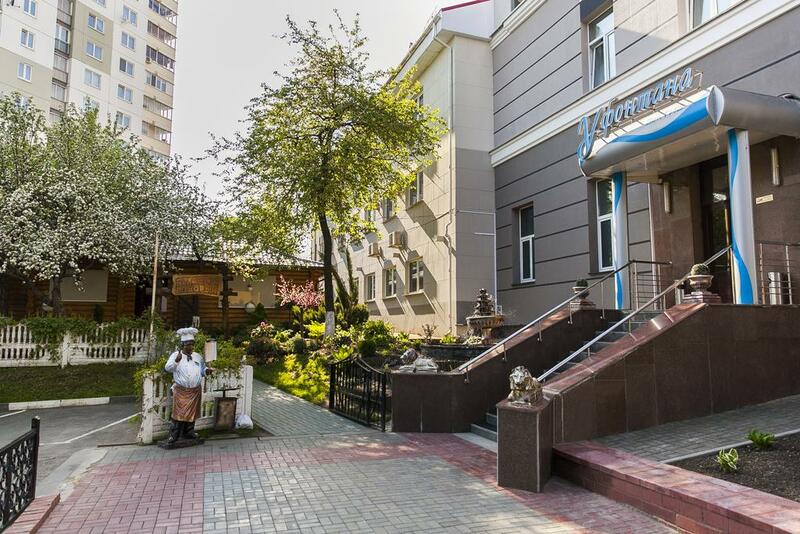 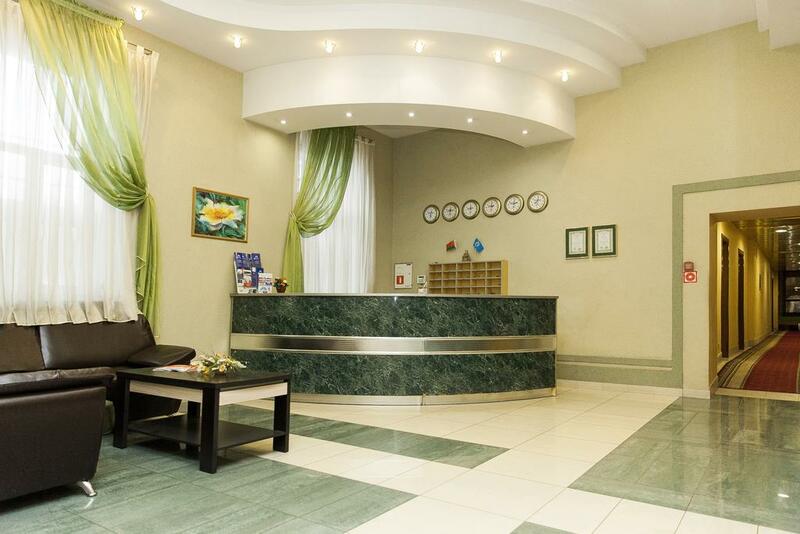 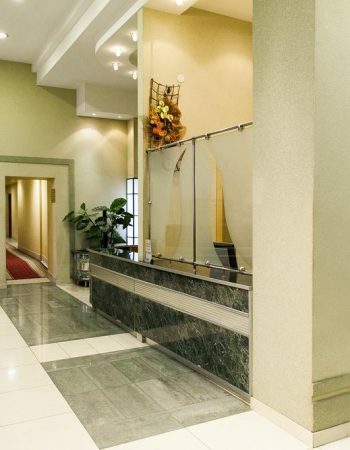 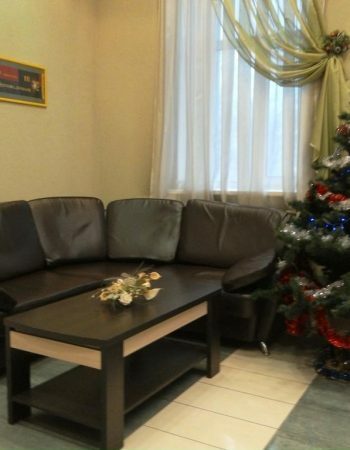 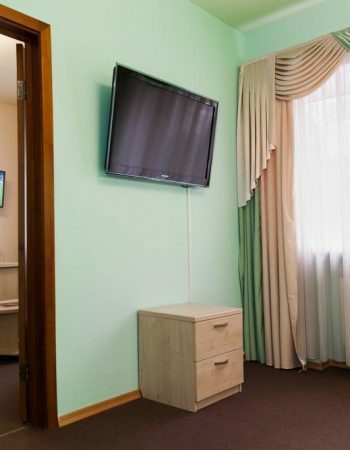 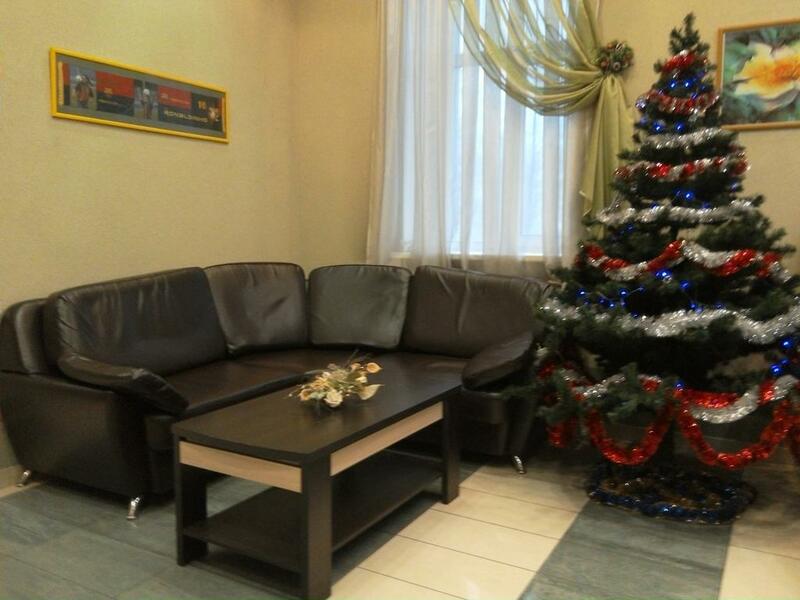 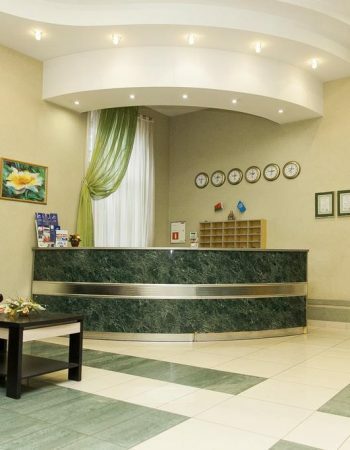 Hotel «At the Fountain» (Minsk), This is a modern hotel complex with 18 comfortable rooms and a wide range of services. 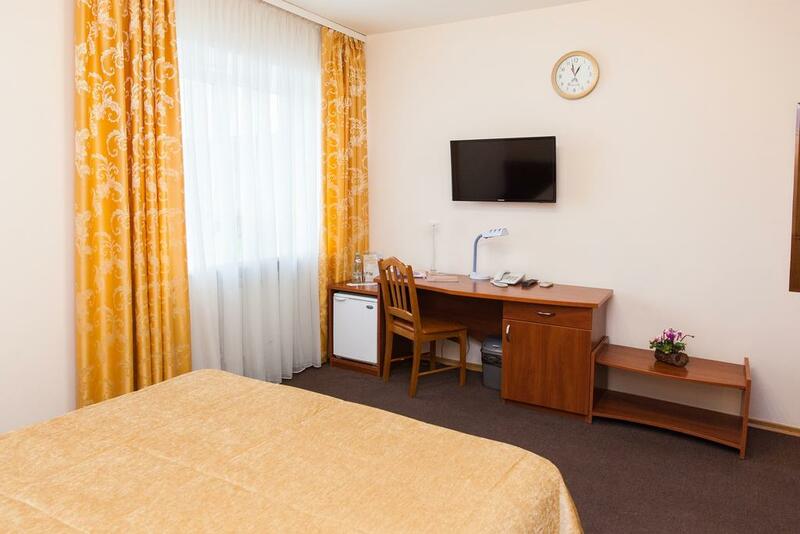 An important advantage of the hotel is the location near the Pobediteley and Masherov avenues, in the cultural, historical and business center of Minsk, 10 minutes drive to the BelExpo exhibition center and the Minsk Arena sports and cultural complex. 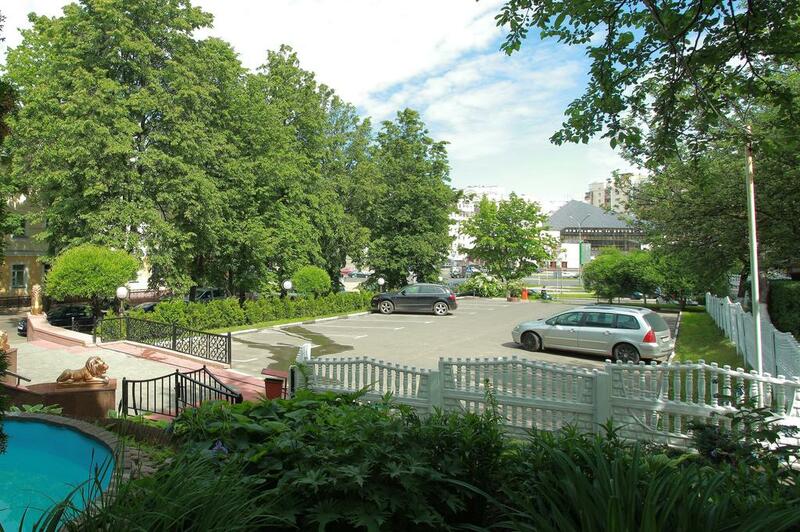 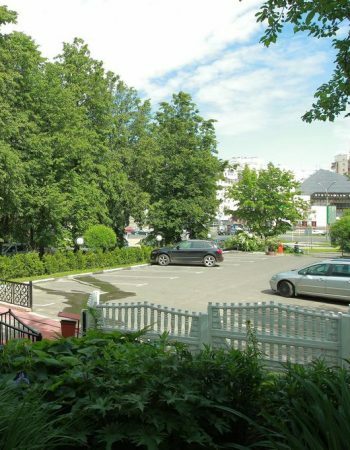 Near the historical part of the city is the Troitskoe suburb , Fountain “Sails” and Victory Park, as well as other attractions.In the 500’s the hotel is a shopping center, entertainment nightclub, Molodezhnaya metro station. 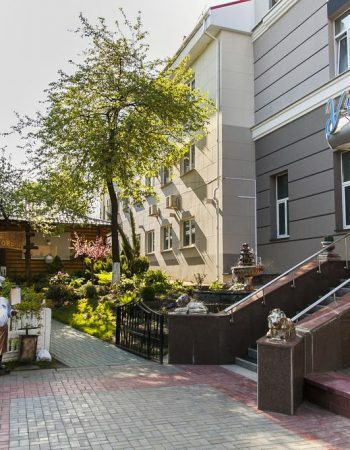 The convenient location of the hotel in the active and business part of the city will allow to be in the center of events and to participate in the life of Minsk in various ways. 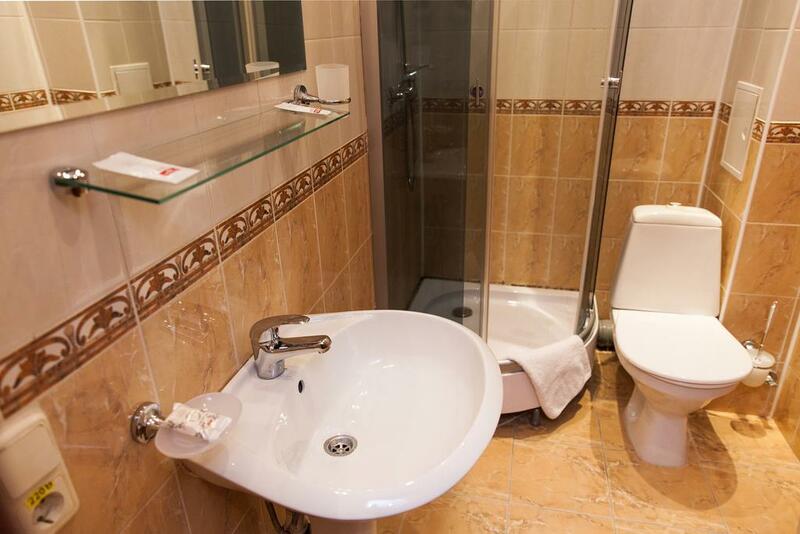 And excellent transport links will help you get to anywhere in the city in the shortest time. 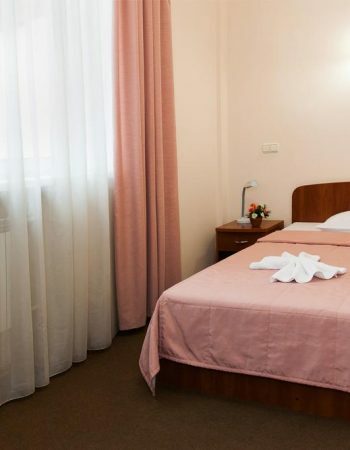 The mini-hotel “At the Fountain” offers 18 cozy rooms of different categories – deluxe 2-room, superior 2-room 2-bed, standard 2-bed and 1-bed. 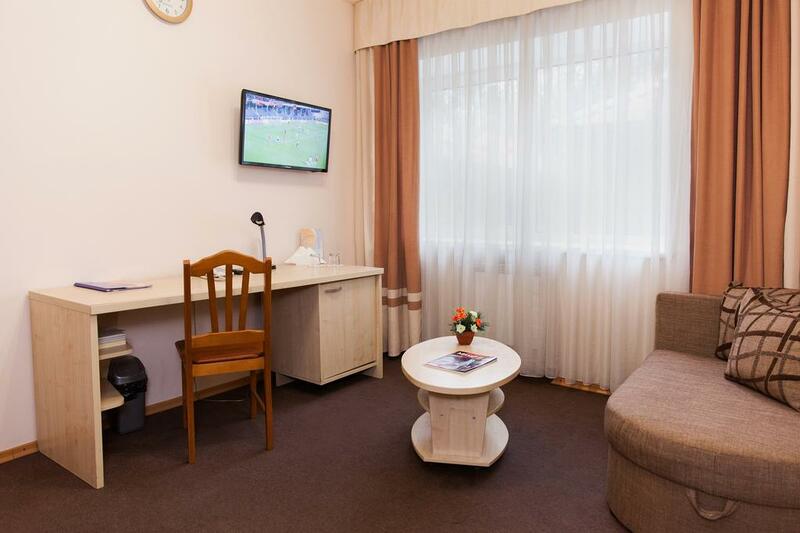 Each room has a double bed, or two twin beds; all the necessary furniture; free Wi-Fi; individual air conditioning; mini bar; LCD TV; phone. 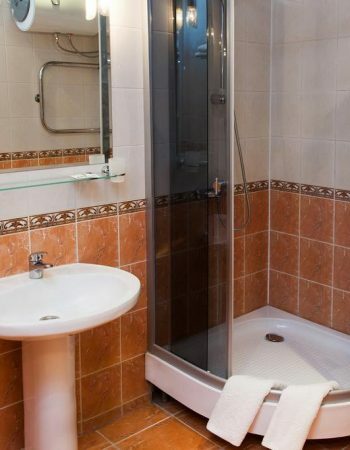 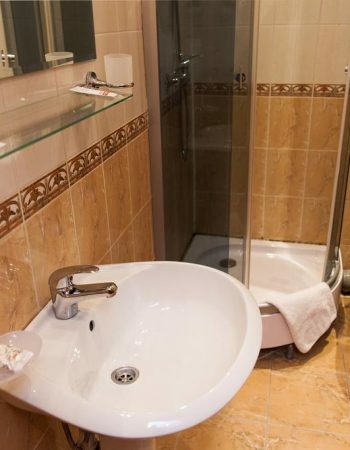 In the bathroom: modern plumbing, shower, hairdryer, a set of cosmetics, bathrobes and towels. 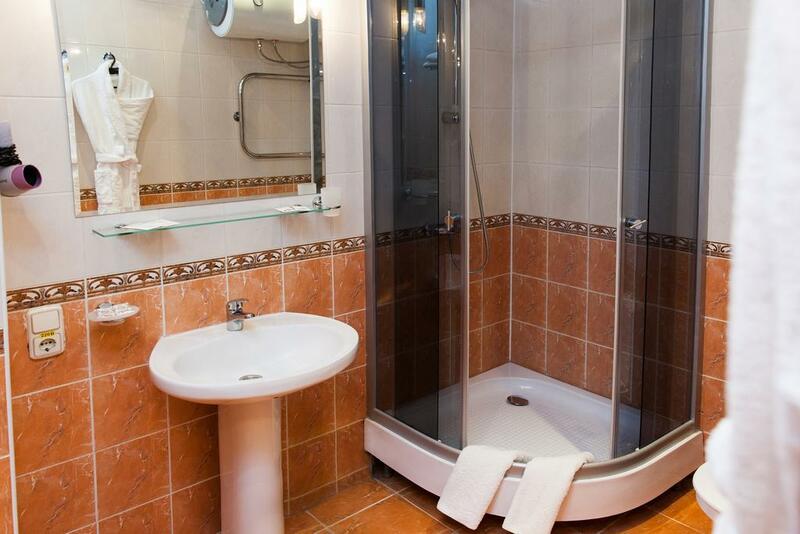 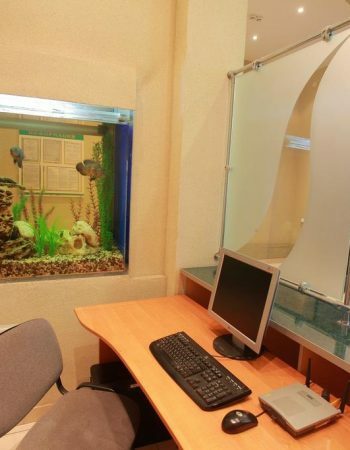 All rooms with the possibility of double and single accommodation. 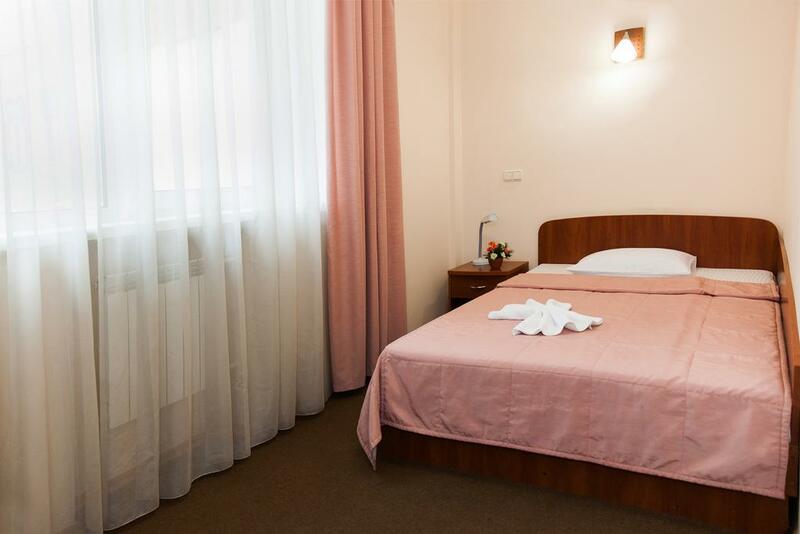 Extra beds and baby cots are available on request. 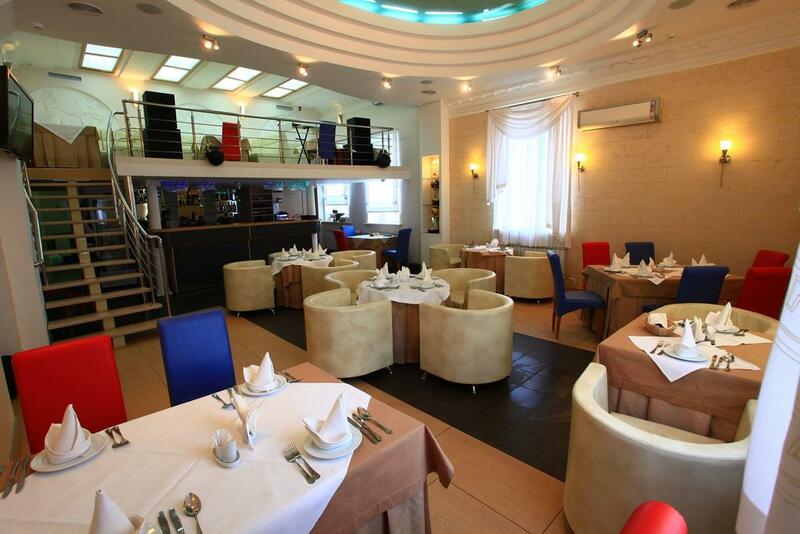 In the restaurant “At the Fountain” you can order dishes of Belarusian and European cuisine and enjoy a comfortable atmosphere, live music. 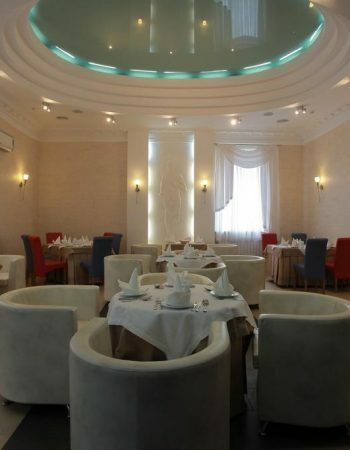 Guests can order a room for lunch or dinner. 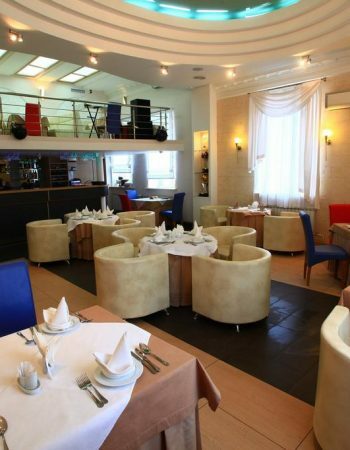 The restaurant holds solemn events, banquets, receptions. 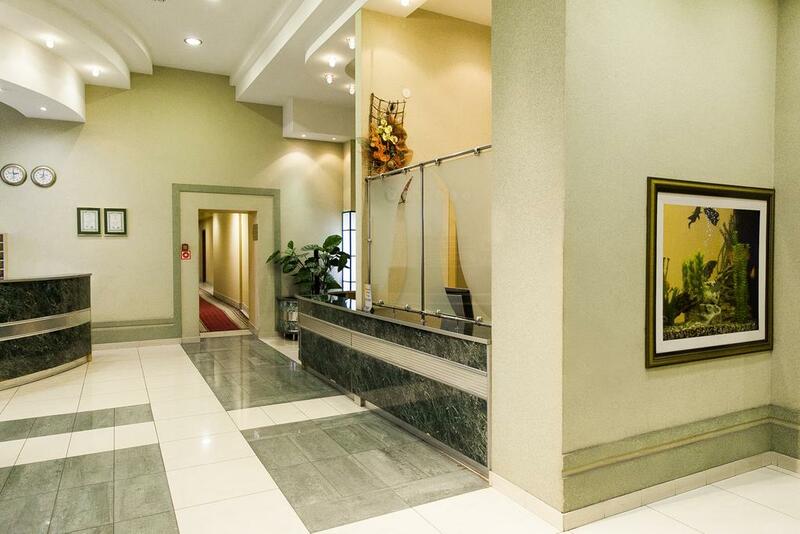 Banquet halls for 50 and 25 people. 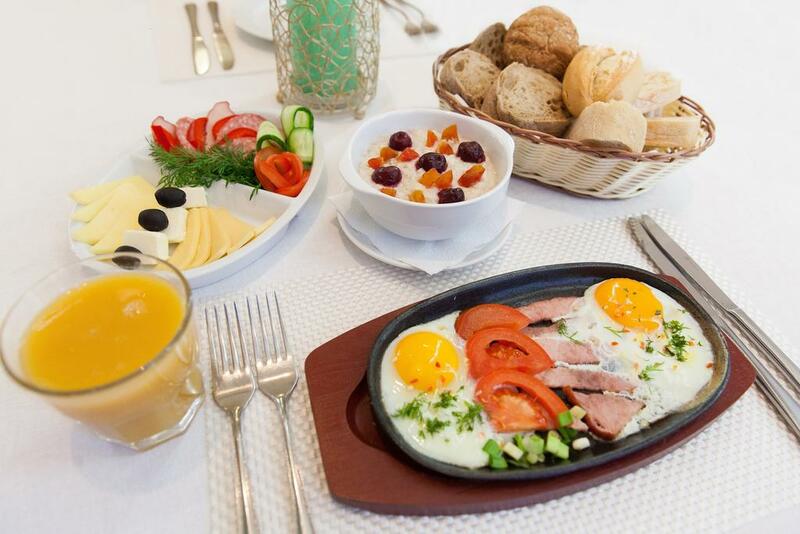 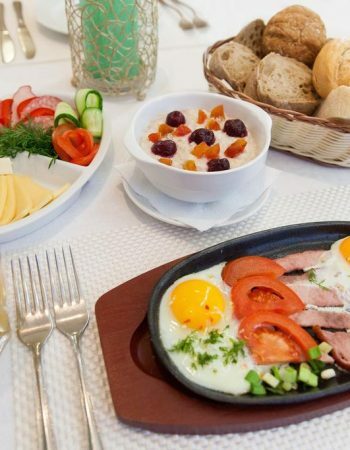 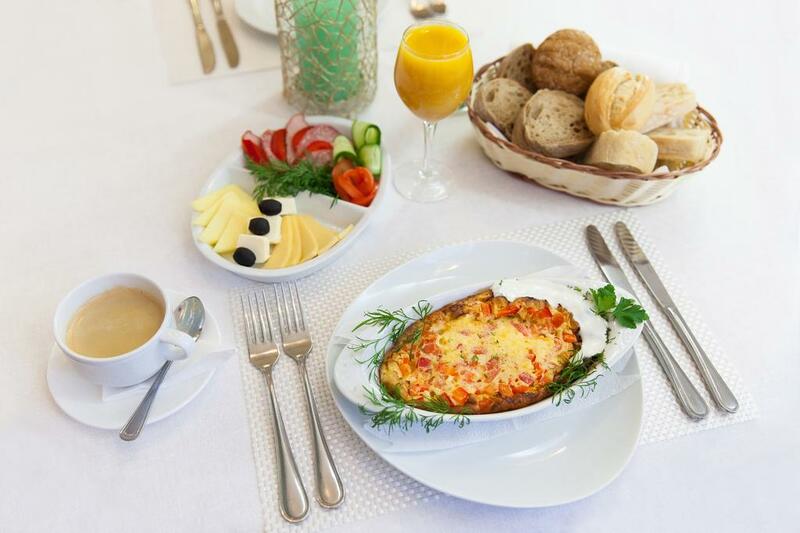 The menu features original dishes of Belarusian cuisine. 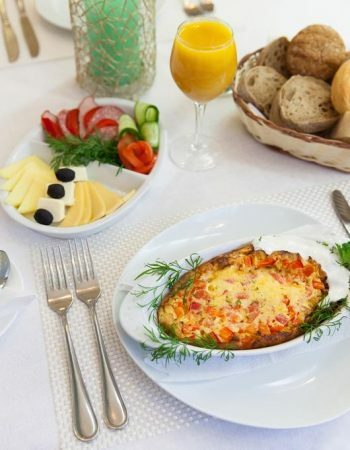 Summer cafe in the orchard with an open terrace and wooden pavilions where you can relax under the sounds of a flowing fountain and order, for example, a shish kebab with vegetables on the grill. 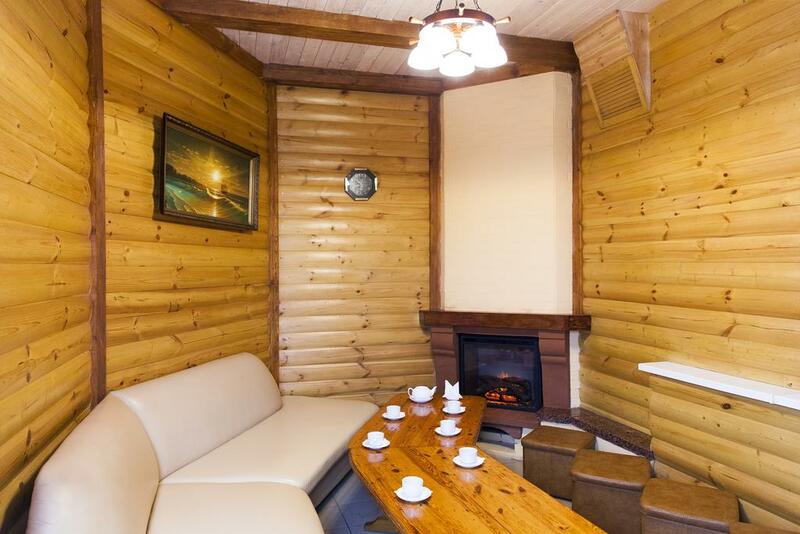 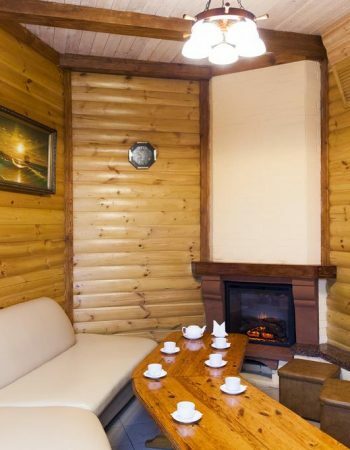 The hotel has a sauna with Russian bath, Finnish sauna, swimming pool with hydro-gun, jacuzzi, recreation room with fireplace and Russian billiards. 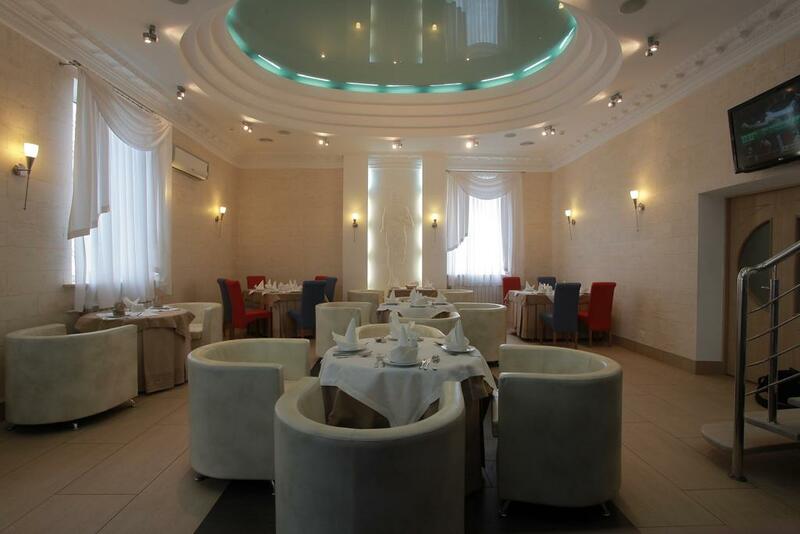 For organizing business meetings, trainings, seminars and master classes, the hotel offers a conference hall for 25 seats with the provision of necessary equipment and catering: coffee breaks, business lunches.